Chantel masquerades as a science girl by day but by evening she is a dancer extraordinaire. Tho it is unconfirmed, we suspect there is a phone booth involved in that transformation. And, we are still watching for a cape. Her heart of gold, beautiful smile, and cheerful outlook make her a loving and encouraging Pole~ah~Tease teacher that every woman can feel comfortable around. She is, truly, a Super Woman. Let us know if you ever see the phone booth. Chantel: Hubby bought me a Groupon teaser class as a dare. I waited until 2 days before it expired to redeem, expecting to hate it, but I fell in love. Chantel: The way it makes me feel. They encouragement of everyone at the studio. Question: What is your favorite part of teaching sensual dance? Chantel: I have the power to help women believe in themselves. To realize that they are more than just a number on a tag or on the scale. That our bodies are capable of beautiful movement. Chantel: My favorite element would have to be the floor, if I had to pick one. Closely followed by the chair. Chantel: I LOVE Candycanes! I also love the martini to carousel back to martini on the spinning pole and the descending angel that I just learned! Chantel: Just do it! You deserve it! Chantel: I love to shop! Chantel: I have 2 little girls. Fiona who is 6 going on 16, and Lillian who turned 2 on Easter. Chantel: To do nothing for fear of making a mistake, will be the greatest mistake you’ll ever make. See why she’s so super?! This girl’s amazing! 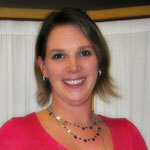 She teaches Levels 1-2, Teasers, Parties and Drop-In classes. Make sure you say hello and introduce yourself the next time you see her around the studio! Student Spotlight on Jessica B!Student Spotlight on Abbey S.